Joshua Nottle is a barrister at William Forster Chambers in Darwin, Northern Territory. Administrative and Public Law, Appellate, Commercial Law, Criminal Law, Domestic Violence Orders, Family Law, Human Rights, Inquiries, Injunctions, Work Health and Safety, Personal Injuries and Military Law. Joshua was first admitted to the Supreme Court of the Australian Capital Territory in 2004 commencing practice as a Legal Officer in the Royal Australian Navy later that year. During his time in the Navy, Joshua had a broad practice appearing Commissions of Inquiry, courts martial, trials by Defence Force magistrates appeals before the Defence Force Discipline Appeals Tribunal and also in advising Commanders on disciplinary, administrative and operational law matters as well as advising on matters of general law such as work, health and safety, indemnities, contractual matters. 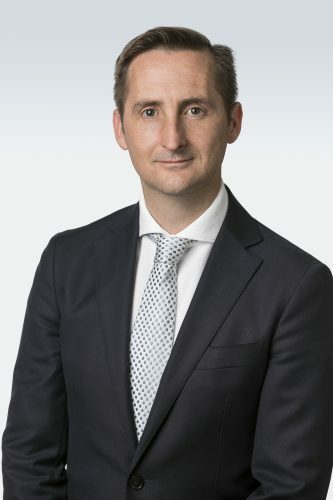 Joshua first commenced practice at the Bar in Canberra in 2017 before relocating to Darwin and commencing at William Forster Chambers in February 2018. Joshua remains a member of the Naval Reserve where he holds the rank of Lieutenant Commander and is also a member of the Northern Territory Rugby Union Judiciary Panel.